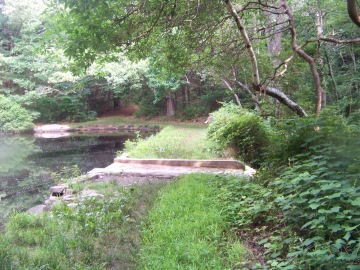 Cohasset is a town in the north east sector of the south shore hiking trails. A true town of the "south shore" being on the coast and seemingly the start of coastal towns below the Boston Harbor where the Massachusetts Bay begins. 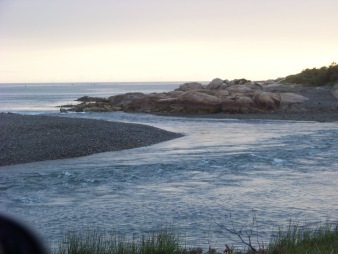 Cohasset is known for its rocky shoreline and stunning ocean views making this town a mecca of recreational activity. Walkers, joggers and bicyclists fill the streets along the coast. helped shape the town's history. One look at Cohasset's town seal shows much effort to incorporate the town's history into that seal. 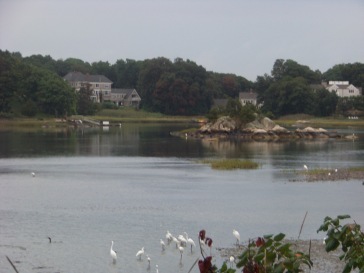 The origins of Cohasset were with the town of Hingham. It was known as that town's 2nd precinct or 2nd parish and labeled East Hingham. It is said the town was found as early as 1614 when Captain John Smith was exploring the coast of New England. exploring the coast of Cohasset nowadays will find, is a long rocky shore. It is that description which lead the Alogonquin Indians to call this place "Conahasset" or quonahassit in the original indian language. land was divided among land owners that were considered proprietors. 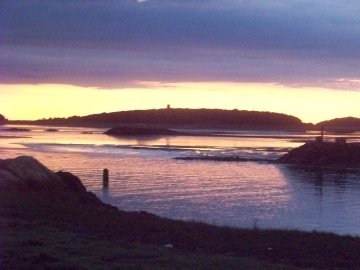 Some areas of the town were left out of this dividing such as the town common and the salt marshes along the shore. This land division was done by a surveyor, complete with a road system centered around a main roadway which was the present day King St. as the center of this system. Shares of land were divided and amounted to 700 pieces. Each being long thin strips that tried to incorporate a mix of different types of land within each share. Some of the landowners received only a few shares while other more prominent "proprietors" received as many as 35 of these shares. These land owners were called the Conahasset Partners. Like many of the early settlers of that day, farming and homesteading were some of the first industries of this town. It didn't take long for those settlers to see there was much more profitability in the seafaring business. Fishing, back then cod and mackerel and now in this day lobster, is a large part of Cohasset's industry. The harvesting of Salt Hay was another big early industry. Many other small industries that were an accessory to fishing also flourished, blacksmithing, sailmaking, saltworks for preserving the fish, and coopering (barrels and buckets). Hingham, being the parent town, is where decisions about Cohasset would be made at town meetings. The single biggest problem was the road to Hingham, if it was a road at all, most likely an indian path in those days was long and dangerous. This long dangerous journey made it difficult not only for Conahasset's concerns to be represented at town meetings but proved impossible for children to be schooled. By early 1700's it was estimated that approximately twenty families lived in the land called Conahasset. In those days an area that wanted to be incorporated as a town needed to build a meeting house, a church and support a full time clergyman. Usually a school house was also needed. Certainly a concern here! In 1713 Hingham gave consent to the building of a meeting house on the town common. A church was also built at that time. It took some years to find the full time clergyman the area needed to form itself into a separate town. By the end of 1717 the Court of the Massachusetts Bay Colony granted Conahasset the right to be come a 2nd precinct in the town of Hingham. This allowed them to make decisions about their church and school house themselves. This also gave them the right to levy taxes to gain support for the clergyman and teacher they needed for those buildings. Finally in 1722 the Reverend Nehemiah Hobart, the grandson of Hingham's first minister agreed to build a home and become the minister they were searching for. Yet "Conahasset" was still part of Hingham and the roads there still proved difficult to travel. Continuously their town concerns were not considered leaving the inhabitants of this area discontented with their situation. This small community grew rapidly though, with it's thriving industry based on it's position on the ocean front. It soon proved solid enough to become a town on it's own. Once again in the year 1770 the community went before the General Court and petitioned to become a separate town with the name of Cohasset. On April 26th of that year it became official. The bulk of the hiking trails in this town seem to lie away from the ocean in tranquil swatches of land tracts. This park has entrances located on both North Main St and Forest Ave. 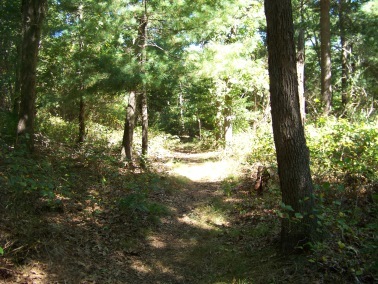 It contains 232 acres that include the Barnes Wildlife Sanctuary, the Cohasset Boy Scout Retreat and the Cornelia and Richardson White Woods of which are part of the hiking trails of Holly Hill Farm a privately owned organic farm that welcomes visitors on it's land and trails. There are maps of their hiking trails available for a small fee at the farm. 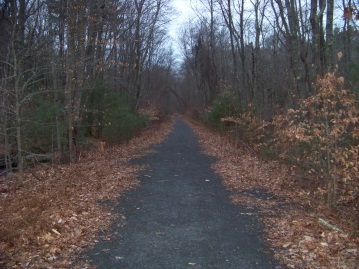 The Great Brewster Woods Trail. Whitney and Thayer Woods hiking trails are a property of the Trustees of Reservations. 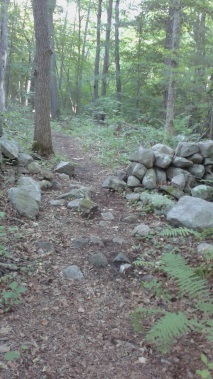 These woods are in both towns of Cohasset and Hingham. The Cohasset entrance is on Rt 3A, the portion that is King St across from Sohier Rd. The property backs up to Wompatuck State Park in Hingham and contain the Turkey Hill Reservation (lies in both Cohasset and Hingham) and Weir River Farm of Hingham. a couple of miles of hiking trails. Just enough for your morning exercise! Take me straight to the hiking trails!